Which "Sikaflex" to use for sealing buoyancy tank leaks? 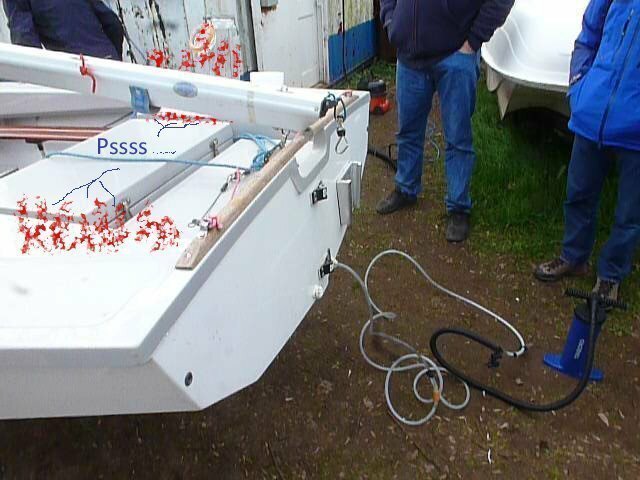 Latest News: › Forums › Technical › Which "Sikaflex" to use for sealing buoyancy tank leaks? This topic contains 3 replies, has 3 voices, and was last updated by patty 3 weeks ago. 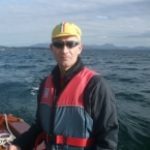 My first post here follows on from my first buoyancy test (carried out by Andy Rigby) whilst at the excellent Wayfarer Cruising Conference last weekend. My Mark 2 front tank passed, but my rear tank was a failure! Andy’s advice was to seal the gaps (between the hull and the deck) with Sikaflex, which I duly scribbled down on my notepad. I have done some searching on the internet for a supplier but have discovered numerous varieties of Sikaflex. I figure that the one I need comes under the ‘leisure marine’ category, but there are two types, viz. ‘sealing’ (Sikaflex-291i ) or ‘bonding’ (Sikaflex-292i). I am unsure which one I need to buy for the job and would appreciate some advice please. A photo of the product or a link to (say) Screwfix’s website would be good if the 291 ID’s (from SIKA’s website) don’t ring any bells. Hi, I think it would be 291i you are looking for, a flexible sealant rather than an adhesive. I would also try to find where your leak is first – rather than just sealing any gaps and hoping the problem is addressed. Or is there an obvious damaged area? And I guess the hatch cover has a good seal – that’s often the culprit? To be effective the sikaflex will need to be forced into the gaps creating the leak. I can recommend Wonder Wipes (Toolstation sell them), for getting rid of unwanted Sikaflex….it is very sticky stuff and tends to get everywhere! Thank you Bob and Portackflyer. Both on my shopping list now 🙂 I had wondered about the bonding/adhesive option initially as that had been described for use between hull and deck, so I guess because that joint is pretty static at present, the flexible filler is the better option. 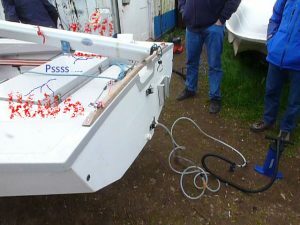 The smoke test indicated leaks and a distinctive hissing noise where the deck meets the strips below where the cut-outs for handling the boat are located, so I’ll be doing a close visual check and drying the suspected areas out before having a go at filling in. The seal round the tank cover does seem to be sound as do the holes where the bolts on my outboard bracket pass through the transom.